A new law has been proposed in the Senate that will punish the parents of unvaccinated children. The bill is due for review in the upcoming weeks and is coming out following the county-wide public ban on unvaccinated minors in Rockland County, New York. The ban was in result of a measles outbreak in the area consisting of 157 reported cases. So far the public-ban has led to 500 reported vaccinations within the first 24 hours alone. The potential law will see that parents who have not vaccinated their children after they have reached the age of one, will be faced with criminal charges including negligence and reckless endangerment. Punishments will range from fines or jail time to the placement of children into Child Protective Services. The “anti-vaxxer” movement is full of parents that are knowingly withholding their children from receiving any vaccines. According to them, there is a link between autism and childhood vaccinations. They also believe there is a connection with other brain disorders, although there is no evidence to support their claims. Some parents are unhappy with the amount of vaccine their kids receive at such young ages. By the age of two, some kids have gotten as many as twenty-three shots. Studies show that the reasoning behind the multitude of shots is that young children are much more vulnerable to diseases and the immunity acquired from their mother’s breast milk has worn off. According to Center for Disease Control (CDC), if only a few people get vaccinated it is much easier for a disease to spread causing a possible outbreak versus more people being vaccinated and making it easier to contain a disease. 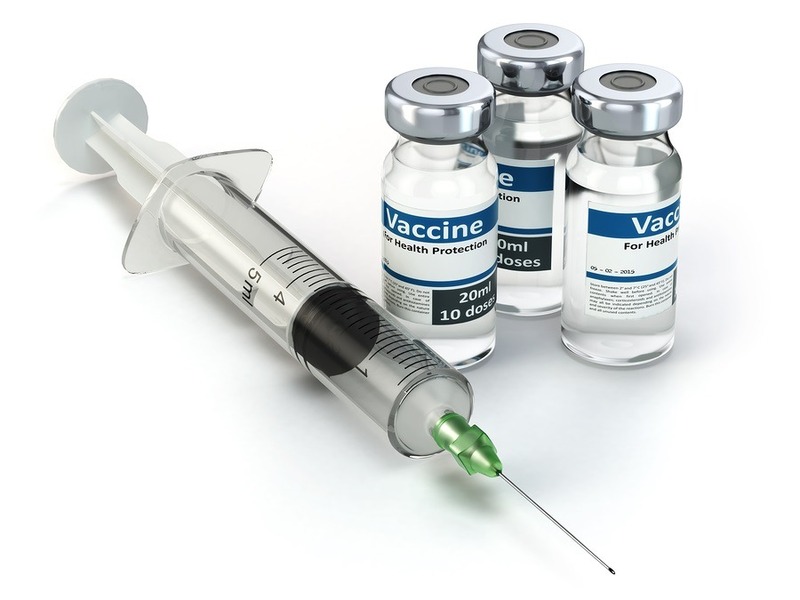 Vaccines are used to prevent certain diseases, such as pertussis and chickenpox. Due to vaccines keeping the number of cases in the country low, some diseases have successfully faded from relevancy. Government officials fear that if we stop using vaccines altogether, those few cases that exist will quickly turn into hundreds and thousands of cases across the United States. The “anti-vaxxer” movement also puts into question whether or not vaccines are necessary if a person finds themselves perfectly healthy without them. While there is no evidence to prove that the lack of vaccines causes harm, there is still doubt concerning its’ effectiveness. 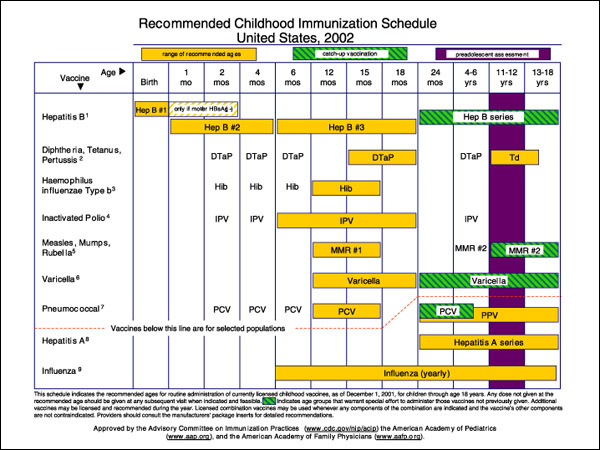 One must also consider other factors when referring to a weak immune system other than not being vaccinated. Some examples include weather conditions, surrounding environment, allergies, and DNA play a role. Many are reconsidering following their government blindly based on their current excellent health status due to not vaccinating. But, this new law will not give a choice to those not abiding by the law. While many parents feel that their children should not be obligated to receive vaccinations, government officials predict that without proper reinforcement, the circumstances may become life-threatening. The end result of this looming threat to public health is a governmental intervention that will see U.S citizens be forced to vaccinate their children or face the consequences. The topic of this article was chosen because of the popularity of the “anti-vaxxer” movement. There is a growing problem with anti-vaxxers that is causing an outbreak of seemingly eradicated illnesses such as measles and chickenpox. The rhetorical appeal is ethos when mentioning that the ban was a result of a measles outbreak in the area consisting of 157 reported cases. Americans are the principal audience because of the prevalence of these issues in today’s society. The true events Rockland County, NY gives credibility to this story and shows that government intervention is possible. This is likely to go viral and grab the reader’s attention since it such a prevalent topic and it affects almost everyone in the country or indirectly so everyone will be interested. The article would go viral because I would enrage many groups of people, it would enrage the “anti-vaxxers” because they would be forced to “poison” their children and it would enrage libertarians who believe the government should have as little control of society as possible. Yesenia Montenotte: Edited paper, wrote paragraphs 3-6, and added images to news story. Lailah Johnson: Edited paper, wrote first two paragraphs, and did part of reflective paragraph. Shantall Suarez: Edited paper and wrote paragraphs 7 & 8. Alexandra Bello: Wrote last paragraph. Laurenth Espitia: Found pictures and did part of reflective paragraph. Hi Lailah, Good job, good annotations, I look forward to reading your essay. Thesis: The Chinese government is implementing a social credit-system that infringes upon the liberties of Chinese citizens due to its use of mass surveillance and big data analysis technology. 4. Beijing Youth Daily. “Opinions On Strengthening the Fine Management of the City.” Beijing Youth Daily 31 January 2019. Document. This is a news article published by a magazine in China. The magazine is the largest circulated magazine in China and is backed by the Youth communist League. O Jan. 31st, 2019, The Chinese government released officially documents with the goal of strengthening the implementation of the Chinese social credit system. It details goals for expansion both geographically and in reference to the use of big data. This article paints China as a growing digital totalitarian regime. It will use technology to finally control every single aspect of its citizens’ lives. It is more of the same summary of the social credit system but this article discusses more of the socio-political implications behind it. It also compares the situation to a book published in 2010 which eerily foreshadowed this society. 6. Creemers, Rogier. “China’s Social Credit System: An Evolving Practice of Control.” Social Science Research Network (2018). This article aims to identify the reasons for the implementation of the Social credit systems as well as identifying the mechanisms through which the chinese government has been able to implement the systems at all. The examination of history, institutional structure, implementation and the linkage to the private sector gives insight to both of these questions. This article details the horrors to arise from the full-scale implementation of this system but it also highlights the perspectives of some Chinese citizens who welcome the system and hope that they will finally be able to prosper under the new regime. There is a profound level of distrust within all sectors which is why people are open to this system because they believe it will do away with the rampant corruption in society. This article does not focus on the Chinese Social Credit System but is instead about social media and big data in China. Specifically, it pinpoints three topics of discourse, “Big Data”, “Big Brother”, and “Big Profit”. Each focusing on the technical, the political and the economic. The authors are concerned with how these three things interact with one another and the challenges that arise from the relationships. This article details which institutional processes a well as which political and economic interests have led to the mass adoption of big data technologies by both the private and public sector in china. It investigates the construction of China’s Social Credit System. Because it is from a Chinese perspective versus a Western perspective, it analyzes the situation in terms of its focus on financial and commercial activities over political activities which is what the Western news focuses on. Shantall, there is no reason for these mispellings!!! Do not turn anything in to me without proofreading. It is sloppy and unacceptable. Rubin, David M and Cummings, Constance. “Nuclear War and Its Consequences on Television News”. Journal of Communication. Winter 1989. Comunications and Mass Media Complete. Authors Rubin and Cummings, illustrate about the untruthful acts of news/television. Specifically, they cover the idea that the threat of nuclear war is potentially too poilitically divisive and too frightening for the audience of the U.S. Therefore, it is best the citizens not know about the nuclear issues the nation experiences. Barron, Laignee. “President Trump and Kim Jong Un’s Summit Ended Early Without a Deal. Watch the Press Conference”. TIME Magazine. February 28, 2019. Time Magazine’s very own Laignee Barron, infroms the readers about the inconclusive summit meeting between both powerful leaders. This article, states that Trump is in no rush for a deal. As long as there’s no testing in Kim Jong Un’s facilites in the mean time. Rogin, Josh. “Trump got played by Kim Jong Un – again”. The Washingotn Post.February 28, 2019. Columnist Josh Rogin illustrates as though Trump is being played for a fool in the deneucralization of Kim Jong Un’s facility. His perspective is that Kim Jong Un is playing hard to get to extend his time in advancing his nuclear technology. Evaluating this strategy, the deal of lifitng all sanctions in exchange for partial facility shutdowns is a bad deal for the U.S.
Sanger, David E and Wong, Edward. “How the Trump-Kim Summit Failed: Big Threats, Big Egos, Bad Bets”. nytimes.com, https://www.nytimes.com/2019/03/02/world/asia/trump-kim-jong-un-summit.html. March 2, 2019. In awareness of Kim Jong Un’s ability to hide pieces of its’ nuclear program in tunnels around the country, president Trump did not settle for the shut down of some of many nuclear facilties (SPELLING!!!) in exchange for the relief of all sanctions on North Korea. Kim Jong Un is clearly testing the water with president trump(capitalize!!!) but the U.S president seems to be 2 steps ahead. Sik, Ahn John. “Is North Korea ready to face the music and denucrealize?”. dailynk.com. https://www.dailynk.com/english/is-north-korea-ready-to-face-the-music-and-denuclearize/. March 3, 2019. Ahn John Sik talks about the endless possibilites about the denucrealization deal between president Trump and Kim Jong Un. He covers the basis of what North Korea’s intentions truly are on the matter and the hand that the U.S will be dealt with in settling with the desmantling of just some nuclear facilites. We analyze the many perspectives, and the steps in order to achieve a succesful denucrealization of North Korea. Good work Yesenia, let me know if you need help with your essay. Good sources, good annotations, well-done! Thesis: When the Venezuelan presidential crisis occurred, and Juan Guaidó declared himself the interim president, the presentation of this news around the world through social media and major news broadcasts was noticeably influenced by whether the country is opposed to systems resembling communism, their perception on basic human rights, and future plans that would benefit their country’s agenda. 1. Book published in 2013, found in FIU Library Catalog. Corrales, Javier, and Carlos A Romero. U.S.-Venezuela Relations Since the 1990s: Coping with Midlevel Security Threats. Routledge, 2013. Corrales’ book provides a thorough examination of the relations between Venezuela and the United States from an unbiased point of view. The author discusses Venezuela and their importance to the United States when it comes to oil by providing tables and figures. The book focuses on how the relationship between the two countries changed in the 2000s. The book allows for a better understanding of the United State’s involvement in the current presidential crisis in Venezuela. Sanchez, W.Alejandr. “Russia and Latin America at the Dawn of the Twenty-First Century.” Journal of Transatlantic Studies (Routledge), vol. 8, no. 4, Winter 2010, pp. 362–384. EBSCOhost, doi:10.1080/14794012.2010.522355. In this journal, Sanchez and researchers discuss how and why Russia has become so close to Venezuela in an honest manner. Sanchez is descriptive throughout and talks about the origin of the relationship between the two countries. The journal is important for the subject at hand because it gives insightful information as to why Russia is involved and supports Maduro’s regime. Nugent, Ciara. “Venezuela’s Crossroads.” Time, vol. 193, no. 6/7, Feb. 2019, pp. 42–47. EBSCOhost, http://search.ebscohost.com/login.aspx?direct=true&db=a9h&AN=134571138&site=ehost-live&scope=site. In the magazine, Nugent addresses the current political, social, and economic issues that Venezuela is facing from a perspective of an individual who lives in a democratic country. Nugent writes about how both Nicolas Maduro and Juan Guaidó are the Presidents of Venezuela and why it is said that Maduro is corrupt. This magazine is important because of the relevance it carries throughout and provides information on both of the individuals involved in the current crisis. Herrero, Ana Vanessa, and Neil Macfarquhar. “Russia Warns U.S. Not to Intervene in Venezuela as Military Backs Maduro.” The New York Times, The New York Times, 24 Jan. 2019, http://www.nytimes.com/2019/01/24/world/americas/venezuela-news-maduro-russia.html. The authors of this newspaper discuss Russia and Venzuela’s current relationship and the statements that Russia has said. Herrero and MacFarquhar include quotes from Russia’s President, Vladamir V. Putin, which show the severity of the situation at hand. The authors include statistics and quotes, which increase their legitimacy. The magazine is important since it shows how much influence Russia and China have in Venezuela and the potential issues that may arise due to the United State’s involvement. Xiaowei, Wang. “Intervention Won’t Resolve Venezuela Crisis.” China Daily, China Daily, 9 Mar. 2019, http://www.chinadaily.com.cn/a/201903/09/WS5c83113da3106c65c34eda62.html. Xiaowei’s article offers an insight on the perspective of an individual who lives in China. The article talks about the current state of Venezuela and how no country should intervene in the issues they are having. Xiaowei believes the United States is only attempting to intervene so that they may implement a US-friendly government and that Russia does not want to be involved at all. This article is needed in order to realize how different countries feel about those involved in Venezuela and what is going on in Venezuela. Specia, Megan. “What Is Happening in Venezuela? How It Got Here and Why It Matters.” The New York Times, The New York Times, 24 Jan. 2019, http://www.nytimes.com/2019/01/24/world/americas/venezuela-news-protests-noticias-guaido-maduro.html. Specia’s article provides condensed, yet useful information about what is currently happening in Venezuela. Specia writes about all parties involved with some background information with little to no bias. The article is able to give enough information to understand what is happening, why it happened, and what is the next potential step. This article is important because of the general, but beneficial information that it provides. On January 1, 2019, Jair Bolsonaro is sworn in as president of Brazil. The media’s coverage of him is controversial in that part of the public are in his favor while others are giving him a negative reputation. 1) Political Trials in Brazil: THE CONTINUATION OF A CONSERVATIVE TRADITION.” Political (In)Justice: Authoritarianism and the Rule of Law in Brazil, Chile, and Argentina, by Anthony W. Pereira, University of Pittsburgh Press, Pittsburgh, Pa, 2005, pp. 63–89. JSTOR, http://www.jstor.org/stable/j.ctt7zwb63.9. From what the basis of Pereira’s book explains, over time Brazil has encountered two dictatorship periods. As it explains through the text, it was not until the year 1985 where the country’s crisis came to an end and they were able to enjoy their democratic government once again. These facts correlate to how part of Brazil today views their new President, Jair Bolsonaro, from an authoritative lens. Throughout this journal, the majority of the content presents how Jair Bolsonaro has been considered a threat to Brazil’s regime. Not only does this journal explain how a great chunk of Brazil is not in Bolsonaro’s favor however, those who voted for him have come to feel that they have failed their country. There is a section of the article that even goes on to explain how Bolsonaro has admitted during interviews his agreement with dictatorship. 3) Swift, Richard. “Jair Bolsonaro.” New Internationalist, no. 517, 2019, p. 9. EBSCOhost, http://search.ebscohost.com/login.aspx?direct=true&db=edsgao&AN=edsgcl.568840121&site=eds-live. This periodical goes into simple detail of the two sides to his Bolsonaro’s inauguration. In the section written by Richard Swift, it states how his supporters see his vision for the country to be beneficial. Towards the end of this section, Swift states how his opposers feel that Brazil is reliving its “old days” all over again. 4) Barbara, Vanessa. “Brazil’s New President Isn’t Even in Office Yet and He’s Already Damaged Our Health Care.” The New York Times, The New York Times, 12 Dec. 2018, http://www.nytimes.com/2018/12/11/opinion/brazil-health-care-bolsonaro.html. While winning 55% of his election, the other 45 have their reason’s as to why they do not agree with Bolsonaro’s ideologies which is what this article comes to talk about. From thorough reading, Brazil is known to have a free public healthcare system. The majority of this reading entails the break up of medical doctors and surgeons that Bolsonaro has caused through his decision making. 5) Schipani, Andres. “Bolsonomics: the Reform Plans of Brazil’s New President .” Financial Times, Financial Times, 31 Dec. 2018, http://www.ft.com/content/ab6d338a-09f8-11e9-9fe8-acdb36967cfc. This article seems to deliberate a an exact division for the people that stand with Bolsonaro and the people who do not. As Joe Leahy and Andres Schipani explain throughout this article, Bolsonaro’s proposals have been won over more than several parts of the community. This source overlooks how, one of the main reasons as to why people support Jair Bolsonaro’s ideas, is because his supporters believe he could bring Brazil’s democratic socialist party back to having a positive reputation. However, it then goes on to discuss how those who are bias towards Bolsonaro’s stance, feel this way due to his insignificant remarks he has made in the past and in what they believe to be him having an unencouraging thrive towards the economy. 6) Child, David. “Who Is Jair Bolsonaro, Brazil’s New Far-Right President?” GCC News | Al Jazeera, Al Jazeera, 1 Jan. 2019, http://www.aljazeera.com/news/2018/10/jair-bolsonaro-brazil-presidential-candidate-181007020716337.html. Good biblio, but you are supposed to annotate it as well. Please redo and resubmit, read the assignment as well. Brazil, as many countries has been at the forefront in advocating for environmental conservation. However, on November 28th 2018, Brazil pulled out from the plans to host the 2019 United Nations global summit meeting on climate change. This served as a blow to the quest for achieving a world free from the effects of greenhouse gases. Keating, Dave. “The Paris Climate Agreement Survived Trump. Can It Survive Brazil’s Bolsonaro?”. Forbes.Com, 2018, https://www.forbes.com/sites/davekeating/2018/10/24/the-paris-climate-agreement-survived-trump-can-it-survive-brazils-bolsonaro/#512390ec6435. Londoño, Ernesto, and Lisa Friedman. “Brazil Backs Out Of Hosting 2019 Climate Change Meeting”. Nytimes.Com, 2018, https://www.nytimes.com/2018/11/28/world/americas/brazil-climate-meeting.html. Roland, F et al. “Climate Change In Brazil: Perspective On The Biogeochemistry Of Inland Waters”. Brazilian Journal Of Biology, vol 72, no. 3 suppl, 2012, pp. 709-722. Fapunifesp (Scielo), doi:10.1590/s1519-69842012000400009. USAID. “Climate Risk Profile: Brazil”. Climatelinks.Org, 2018, https://www.climatelinks.org/sites/default/files/asset/document/2018-April-30_USAID_CadmusCISF_Climate-Risk-Profile-Brazil.pdf. Watts, Jonathan. “We Have 12 Years To Limit Climate Change Catastrophe, Warns UN”. The Guardian, 2018, https://www.theguardian.com/environment/2018/oct/08/global-warming-must-not-exceed-15c-warns-landmark-un-report.